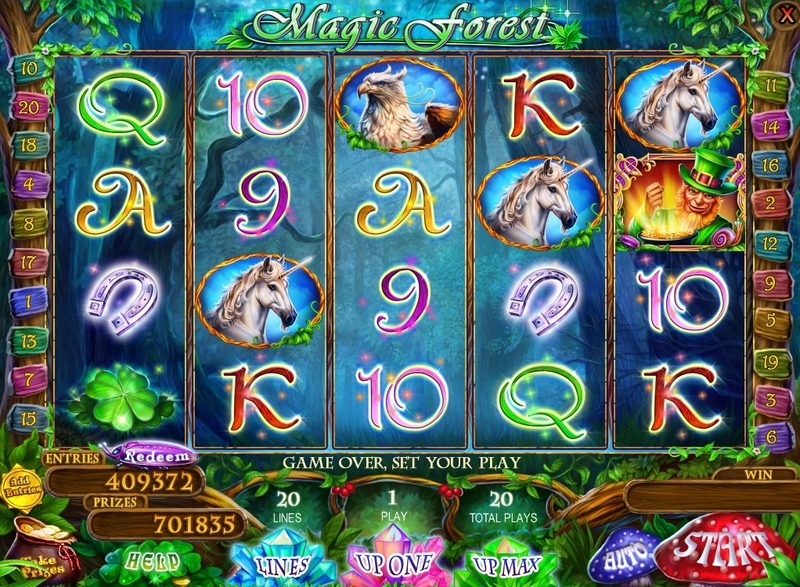 The game magic forest is a 5 reel 20 line videoslot with the possibility of doubling your winnings and free spins. 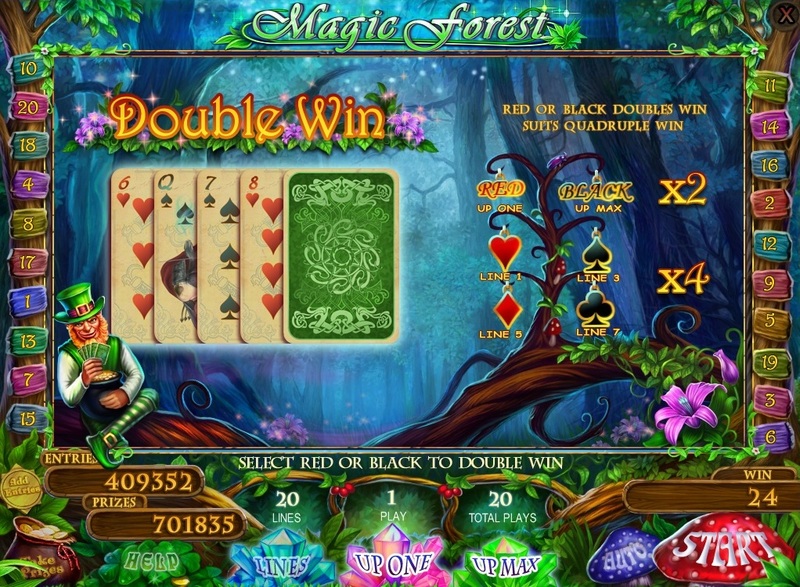 A roll of 3-5-scatter symbols start 15 free spins, all wins during the free spins are tripled. At loss of any winning combination you have the opportunity to double or quadruple your prize guessing the color of the suit or the dealer's cards.